Heart to Get Classic bracelet collection is a collection with everything you always wanted. Bracelets with a cute little symbol. You name it, we have it. 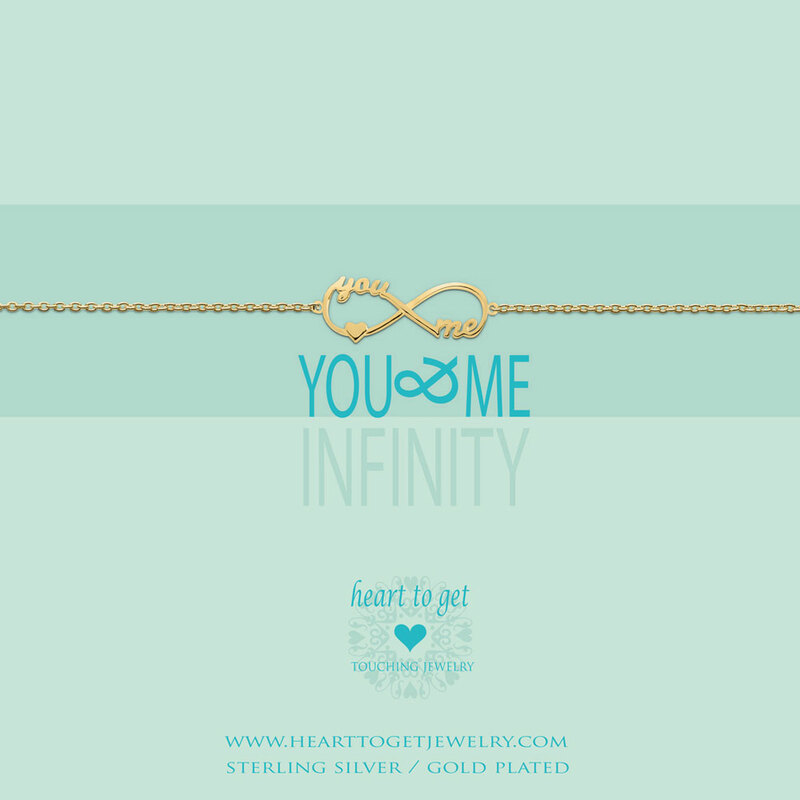 This bracelet wears the message ‘You & me infinity’. Length of the bracelet: 16 cm + 2 cm extension. Available in silver, gold plated or rose plated. We never have enough bracelets! Mix and match this Classic collection bracelet together with other Heart to Get Jewelry bracelets. All our jewelry comes with a special designed message card, but you can make your Heart to Get Jewelry item extra special with a personalized message card. Click ‘Create your custom card’ and create your own card for €3,95!